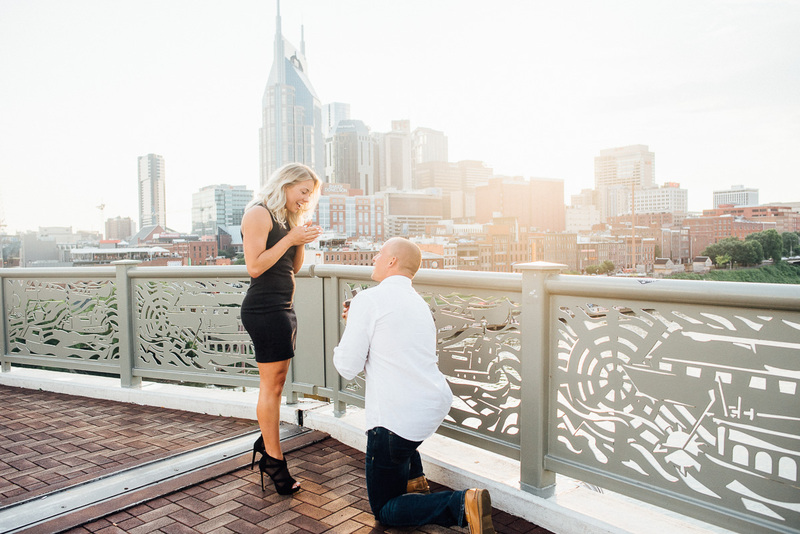 A few months back Dan contacted me about wanting to propose to his then girlfriend Nicolette on a surprise trip that he had planned to Nashville. 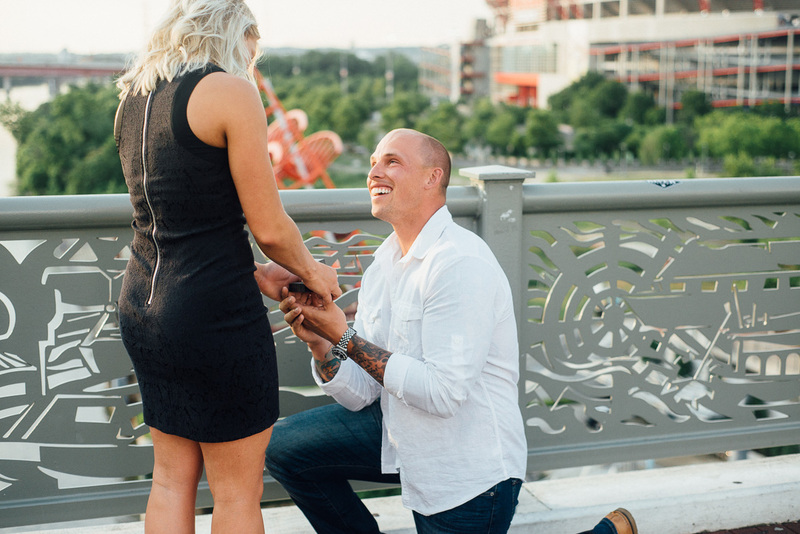 When he took Nicolette to the airport the day of the proposal she didn’t even know that they were going to Nashville, much less that later that day she would be engaged! Dan and I worked out a plan to get Nicolette up to the observation deck of the (John Seigenthaler) Pedestrian Bridge. I posed as a friendly passerby-er who offered to take a photo of the two of them with Dan’s phone so that I could get them perfectly lined up with the Nashville skyline in the background. 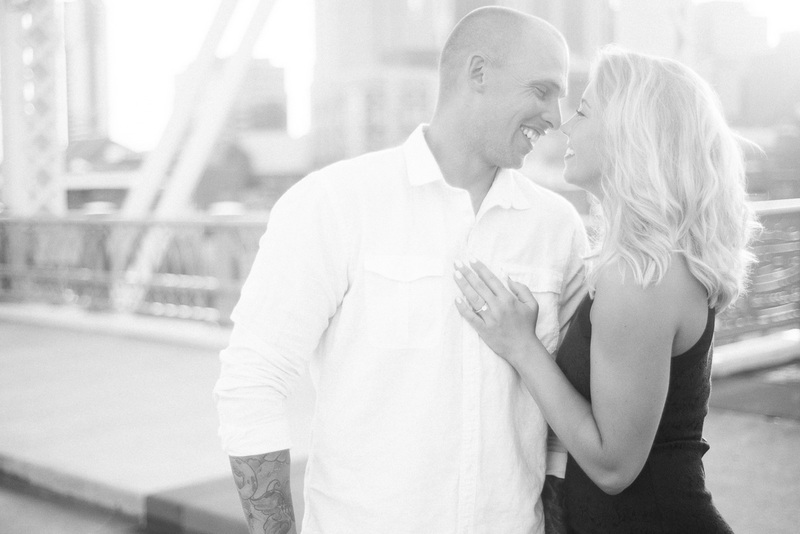 Once I gave him the signal, Dan got down on one knee and asked Nicolette to marry him. 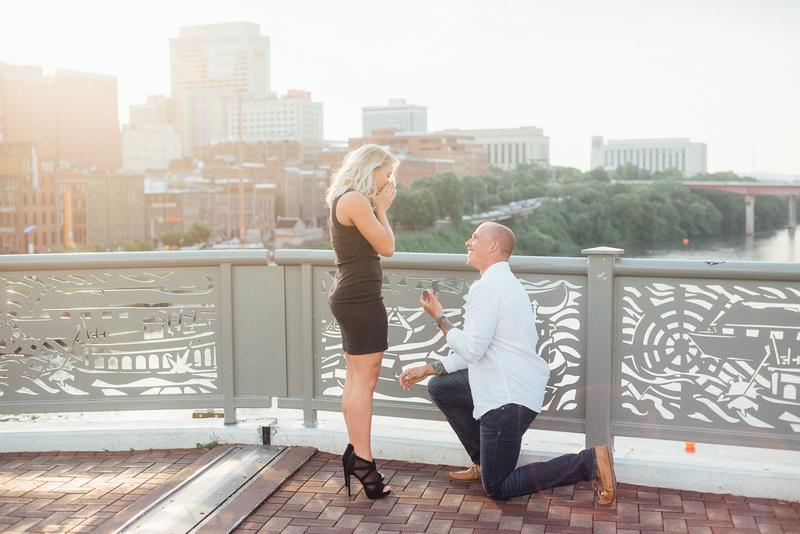 I love helping people (especially from out of town) plan surprise proposals in Nashville. 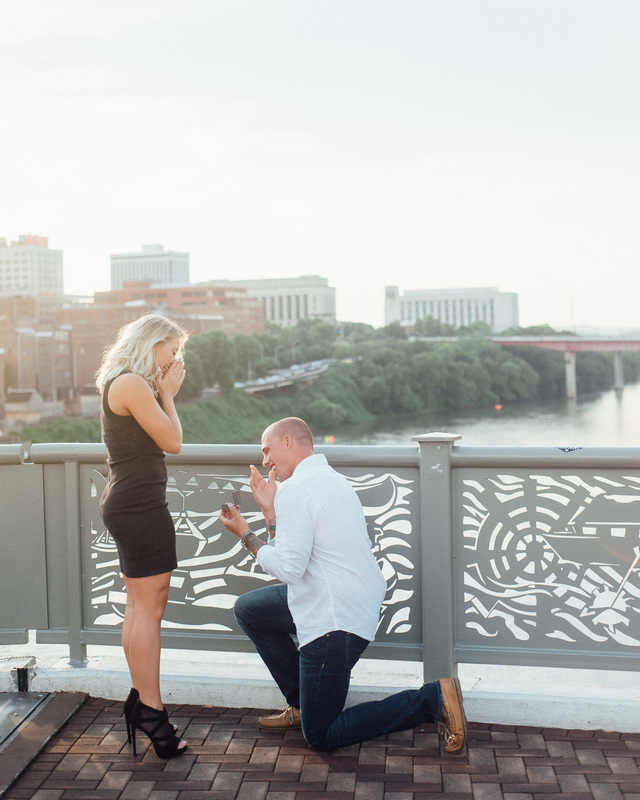 All proposal sessions include a skype planning call. 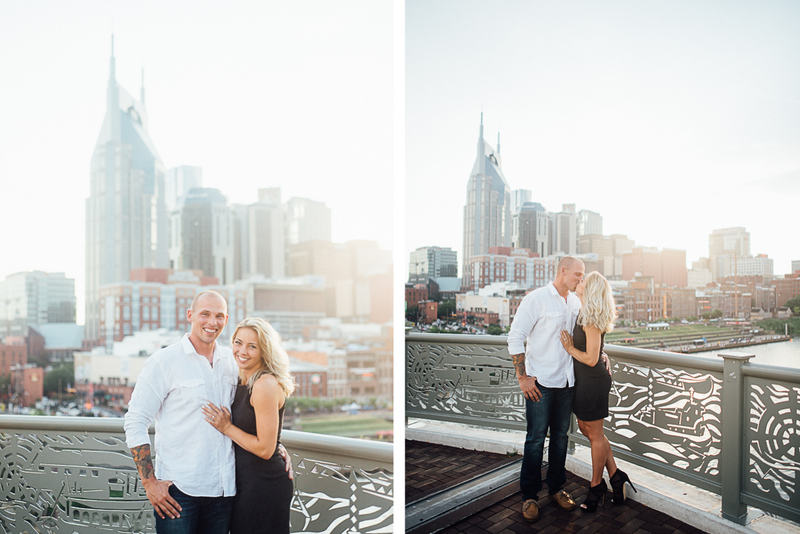 Feel free to reach out if you are thinking about getting in engaged in Nashville!